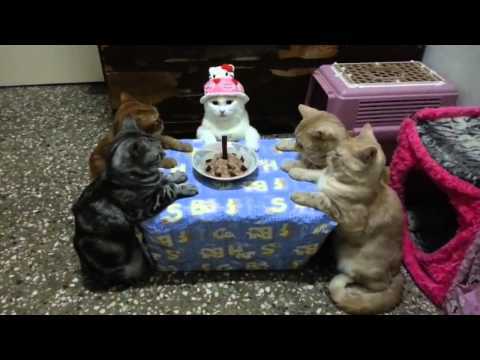 There are 4 cat videos tagged with birthday. Siamese kitten loves her balloon. 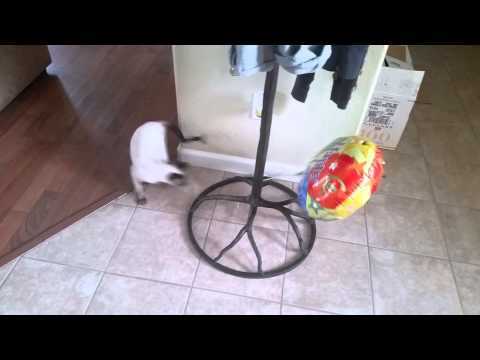 A beautiful Siamese cat grabs onto a birthday balloon and just won't let go. 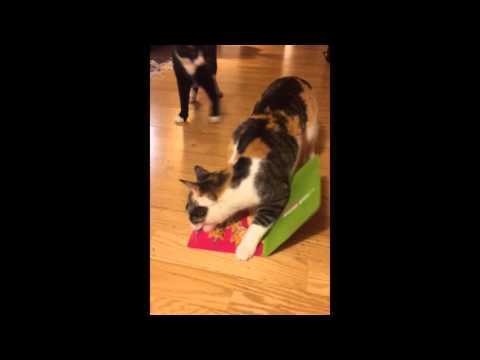 Evie makes her owner follow her around their house, meowing and stopping to play occasionally. At one point, she accidentally lets it go but her nice owner returns it to her. 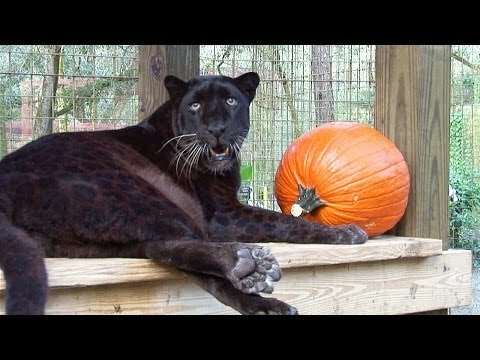 Sabre the Black Leopard celebrates his 22nd birthday! Big Cat Rescue volunteers made him his very own birthday MEAT cake, complete with 22 chicken neck "candles" and Sabre definitely enjoyed his birthday treat! Cats in the wild typically live 10-12 years, so Sabre is an old man!